It’s always exciting to plan a trip, especially when it’s to the U.S. Virgin Island, St. Thomas. Start getting ready by packing your suitcase, deciding which straw hat matches your travel tote bag and making all the necessary travel arrangements, like securing travel insurance just in case. Additionally, purchasing the most interesting activities or attractions to visit is the key to enjoying your time once the ship pulls into each port. 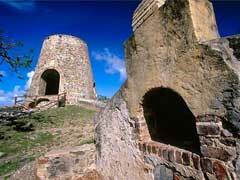 Here is a top 10 list of St. Thomas shore excursions to help in your search. 1. Island sighting tours plus shopping—Caribbean cruise deals and duty free shopping are perks of taking the city tours around the island. Not only will you learn about the history of St. Thomas, but you will have free time to pick up souvenirs for all your friends back home. 2. Charter a boat—An Eastern Caribbean cruise will sail you into prime sport fishing territory for a chance to reel in the big one. A St. Thomas shore excursion for fishing will last about 6 hours. Tip: You cannot bring your catch aboard your ship, so you will need to make arrangements to have it flash frozen and shipped home. 3. Scuba Diving—Certified divers can dive deep to explore several ship wrecks and coral reefs that lay at the bottom of the Caribbean Sea. Instructors will lead you to an underwater playground of the best diving spots to see abundant marine life and tropical fish. 4. Island Hop— It may sound strange to island hop on your cruise to Virgin Islands, but it’s a cost effective way to see the BVI without booking another cruise. You can visit the British Virgin Islands on a day trip, but don’t forget to take your passport. 5. Animal Encounters—Swim, pose for a picture and learn more about sea lions during this St. Thomas shore excursion. 6. Helicopter Rides—Visit the Royal Caribbean shore excursion desk, if you’re sailing RCL to inquire about booking these amazing 15 – 20 minute thrilling rides of a lifetime. Other cruise lines offer the tour as well. 7. Parasailing—Fly high across the sky with a colorful huge parachute attached to you. This is extremely fun and it gives you a rush of excitement. 8. Kayaking—Paired with snorkeling will make for an adventurous day out. St. Thomas offers this eco friendly tour while teaching the importance of protecting the reefs, marine life and natural resources of the island. 9. Make time for a Beach Break—Escape the ship and feel the sandy under your feet and cool off from the hot sun by swimming in the Caribbean Sea. St. Thomas is known for having some of the world’s most beautiful beaches. A visit to Magens Bay Beach will not be soon forgotten. 10. Tee Time—Local hotels offer day passes to use their facilities when your ship is in port, including the golf course. This list is not comprehensive of all St. Thomas shore excursions, use it as a beginning reference point to help guide which excursions are best for you.